1 Is a subterranean termite light sensitive? Most homeowners are eager to learn how different termite castes are light sensitive and use this ability against them. 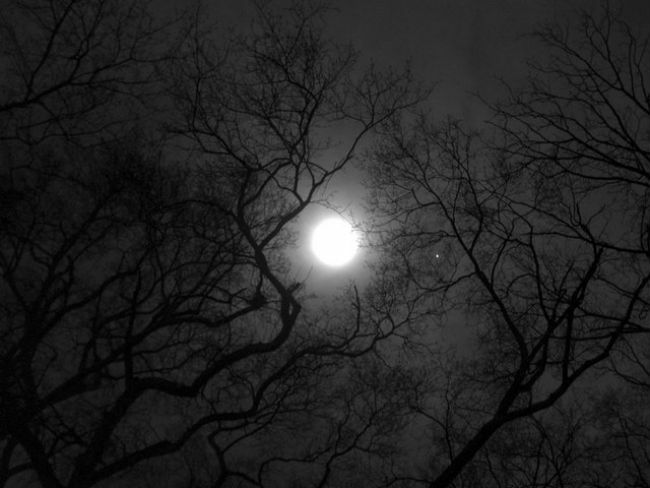 In fact, all types of these pests live in darkness in wood or under ground, so they naturally tend to avoid light. It may seem, due to the drywood termites‘ behavior, that moon or sun shine is symbolic of danger or threat for them. If drywoods “see” the light, they immediately seal or block the exit holes and openings with frass and mud. Winged reproductives (or alates) are termite light sensitive colony members. They have functional compound eyes. During their swarming period, they leave the nest in wood or in the soil through holes, attracted by the morning sunshine. They seek new areas (holes and cracks) for starting a new colony, using their sight. Is a subterranean termite light sensitive? US researchers studied the light behavior of the most dangerous species – subterranean termites (especially Formosans). This type forages about for food in absolute darkness. The researchers came to conclusion that soil termites showed increased escape activity and kept on staying away from light-exposed areas. Their workers and soldiers don’t have functional eyes, they are blind. How do they navigate and feel the light then? For moving and travelling, ground termites use their senses of smell and vibration. They distinguish different odor of pheromones left in the subterranean soldiers’ droppings and feel waves and oscillations. They can easily determine the moisture level and temperature in the soil and wood. It is true that termites are heat sensitive as they can’t survive at temperatures above 120° F. They escape heat-exposed areas due to their natural instincts. They show the similar behavior when they feel light-waves, evolving some amount of heat. The researchers also suspect that subterraneans have special photosensitive areas, which help them to avoid light. According to the research (Park and Raina, 2005) 1, termite larva, nymths and workers showed increased activity away from light-source and gave a strong preference for darkness. Formosan active workers even collected less food under the exposure to light of 0.6 lux and more intensity. Older soldiers are the major colony defenders. In laboratory, they were exposed to moonlight (0.6 lux light) and, to great surprise, they showed negatve phototaxis. Though in nature, if their shelter tubes are boken, the soldiers feel the light entering their tunnel-system and they immediately appear in the destructed area to protect their colony. In this case, light causes defensive reaction and termites exibit a positive response to shine. Then this broken area is repaired by workers. There is a hypothesis that they are attracted not by the light, but by the soldiers’ pheromone smell as a cue. They are designed to control and eradicate subterranean wood pests. Taking into account the termite light sensitive ability and their behavior under exposure, it is recommended to place the bait stations into the soil or to install them filling around with a mud protection layer. This layer prevents light more than 0.6 lux from entering. The results were better when the termite bait station was completely blocked out from sun shine and moonlight. Much greater number of workers (the most termite light sensitive zooids) entered and consumed much more food in the bait for a shorter period of time. Sensitivity of swarming termites to 0.6 lux intensity and their glow-seeking instinct helped the USDA researchers understand the effectiveness of light in an insect and bug killer trap. Termite light traps can be of several types, all of them include the source of light and the exterminator device: electric grid, retaining cage or glue boards. 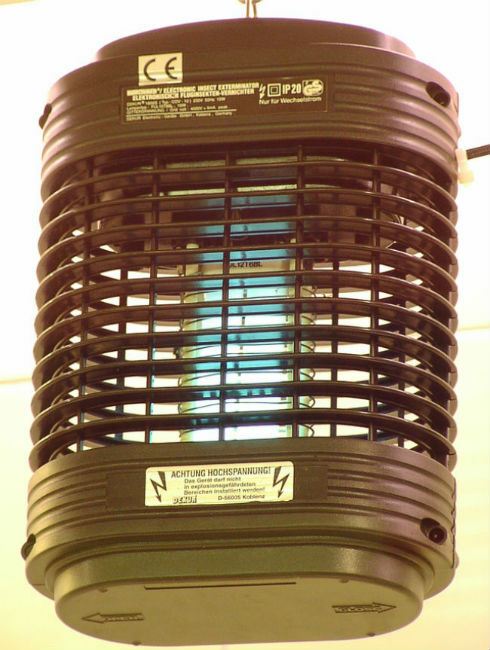 Insect light traps can be attached to the walls or other structures or placed on the table or shelves.